We are Open Prepaid Funerals Limited. We are a company registered in England & Wales with number 04747037. Our registered address is 67 Warwick Road, Solihull, West Midlands B92 7HP. We will be responsible for providing your funeral services. We will arrange a funeral director to provide the funeral services on our behalf. The funeral director will deal with the funeral arrangements with the person arranging the funeral. The agreement remains with us and you should contact us if a matter cannot be resolved with the funeral director. Post: 67 Warwick Road, Solihull, West Midlands B92 7HP. These terms and conditions apply to the sale of funeral services which are detailed in your chosen Open Prepaid Funeral Plan (referred to simply in these terms and conditions as the “Plan”). These documents together make up your Plan. These terms and conditions apply to a Plan from 1st October 2003 and take precedence over the other documents if there is any difference or ambiguity between them. In order to protect your interests you should read these terms carefully. If you are unsure about your rights in your Plan or want any explanation, please contact our customer enquiries department set out above. You should ensure that your Plan contains everything that you have agreed. If the Plan does not contain everything that you have agreed, please contact us and we will correct it. We strongly recommend that you keep your Plan documents in a safe place and that you discuss your Plan with the funeral director who will be responsible for making the funeral arrangements. The Plan covers the cost of a funeral conducted in the UK, Jersey and Guernsey. You can cancel this Plan at any time by contacting our customer enquiries department set out above. If you cancel your Plan within 30 days of taking it out, we will refund you your payment in full. If you cancel your Plan at any time after 30 days, we will refund your payment less the original administration fee of £195. We will make any refund to you within 30 days of cancellation. You must make the payments in the way that is indicated in the Application Form. If you do not make the payments, we will inform you of any delayed payment. You can cancel the Plan, in which case we will provide you with a refund less the administration fee or the Plan can remain in place to take up or use towards funeral costs in the future or at the time of need. If you die before payment is made in full, the monetary value of the Plan will go towards the cost of the funeral arrangements and the Plan will continue, if requested by the person arranging your funeral. The person arranging your funeral must pay the difference between the total funeral costs as highlighted to us by the funeral director and the redemption value of the Plan at the time of death as provided by us. You can transfer the funeral services under this Plan to another person at any time by informing us. Only you, the purchaser of this Plan or your legal representative, can cancel this Plan and any refund will be made to you directly and not to the holder of the Plan unless the Plan holder is also the purchaser of this Plan. We may transfer this agreement to another person or company to arrange the provision of the funeral services. Your Plan will cover all of the costs of the funeral services which are to be provided by the funeral director and set out in the Funeral Plan Brochure and/or the Application Form and/or the Plan Summary on a normal working day. Your Plan covers the cost of local collection of the deceased in normal working hours. Your funeral director will arrange collection if the Plan holder dies elsewhere within the UK. A separate fee may be payable because the costs of collection will vary depending on the distance and availability of transport. Your Plan does not cover the costs of repatriation from outside the UK. Your Plan does not cover the costs of funeral on a weekend, public holiday or bank holiday. memorial, headstones, flowers or other similar additional costs. Because we cannot reasonably calculate those charges in advance, the person arranging the funeral may be required to pay additional charges in relation to these third party costs. We strongly advise you to include a financial contribution to your Plan to cover those third party costs or disbursement charges for the funeral services which are not set out in the Funeral Plan Brochure. Your contribution will be included in your Application Form and/or Plan Summary. Your contribution will be held on trust, as detailed below at paragraph 10. The value of that contribution will be applied towards the third party costs and disbursements at the time of the funeral in order to provide additional peace of mind. If the person arranging your funeral wants goods or services which your Plan does not cover, he or she may have to pay an additional amount if the cost is more than the value of your contribution. If the contribution does not cover the actual costs which apply at the time of the funeral then the person arranging your funeral must pay the difference at the time of the funeral. Funeral services do not incur VAT at the date of this agreement. However, if VAT or any other form of tax becomes chargeable on a funeral service or part of it in the future, the person arranging your funeral must pay VAT (or equivalent tax) at the time of the funeral. Your Plan will set out the nominated funeral director. If you do not nominate a funeral director, we will nominate one for you as soon as practically possible after the Plan is taken out or as soon as we are informed by the person arranging your funeral. If the value of the funeral services element grows greater than the market cost of the services, the Open Prepaid Funerals Trust will retain the surplus. Your contribution towards third party costs will also be held in trust and will rise or fall in proportion to the Open Prepaid Funerals Trust Fund. If the value of the contribution grows to more than the third party costs at the time the payment is made, the Open Prepaid Funerals Trust may retain the surplus. If the value of the contribution does not grow by the time the payment is made, the person arranging the funeral may receive less than the original contribution. If your nominated funeral director is not able to perform the funeral for reasons outside of our control, we will appoint an alternative funeral director at no additional administration charge. If the person arranging your funeral does not agree to any alternative he or she can cancel the Plan. We will refund your payments less an administration fee of £195. We may change the nominated funeral director before or at the time of need at our discretion and will notify the person arranging the funeral of any such proposed change. Should the person arranging the funeral reject the proposed alternative funeral director and another suitable alternative not be agreeable we will offer a refund of payments towards the Plan made to Open Prepaid Funerals Trust excluding the original administration fee of £195. We may at any point prior to the time of need change the conditions of this contract. We will provide you with reasonable notice of the change. If you do not agree to the change, you are free to terminate the Plan. We will offer a refund of payments towards the Plan paid in to Open Prepaid Funerals Trust, excluding the original administration fee. The Plan provides for your funeral to be provided by your nominated funeral director subject to clause 11 on our behalf. You must inform us if you change your address so that, if appropriate, we can appoint an alternative funeral director local to you. We make every effort to excel in our service. If you are unhappy with any aspect of our service, contact our customer enquiries department set out above. Your personal data is held securely and is only used solely in connection with the creation, processing and administration of your plan. 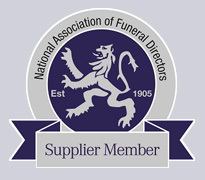 Your information is not shared with any 3rd party and only Open Prepaid Funerals Limited, the nominated funeral director, in relation to carrying out your plan requirements, and any professional service providers such as auditors and actuaries in the carrying out of their duties have access to your personal data. We would seek your written consent for any requirement outside of these parameters. If you wish to make any legal claim, you must do so in the courts of the UK.